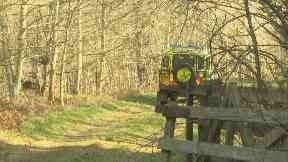 The discovery of the 16-year-old was made by a member of the public in Aberdeenshire on Friday. 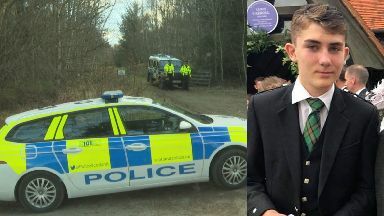 A body recovered from woodland in Aberdeenshire has been identified as missing teenager Liam Smith. The discovery was made by a member of the public at around 3pm on Friday at Craig of Affrusk, south of Banchory. On Monday following formal identification, police confirmed it was the 16-year-old who had been missing for more than four months. On behalf of the teen's family, his mother Alix said: "While we never gave up hope of finding Liam, we were realistic about the challenges facing us. Our hearts are broken. "We would like to take this opportunity to thank everyone who has been involved in the search for Liam including members of the public who took it upon themselves to help. "Thank you also to everyone who has left messages of support which have provided us with comfort at extremely difficult times. The teenager's classmates at Westhill Academy have paid tribute by creating a memorial made up of flowers, pictures and a signed football top at the school. Alison Reid, headteacher at Westhill Academy, said: "The Westhill Academy community is very close-knit. 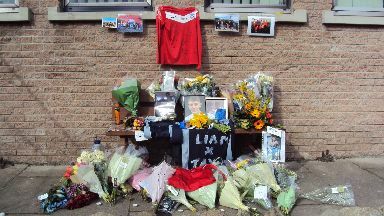 "The confirmation of the death of Liam has hit the school hard, and pupils and staff are coming to terms with what they have heard. "Liam was a well-known and widely liked pupil and we will all miss him deeply. "I am incredibly proud of every person connected with our school and can assure the wider community that we will do our utmost to support them in any way we can. "This time of year is a busy one for all of our pupils, with S4-6 particularly working towards SQA qualifications. "We are working with our chaplaincy service, our educational psychology team and our own internal support networks to help pupils process this sad news. "Our thoughts are with all of Liam's friends and family." Laurence Findlay, director of education and children's services at Aberdeenshire Council, added: "The pupils and staff at Westhill have shown immense courage, but we recognise that it will take time to process and come to terms with this news. "We will continue to provide every possible assistance to teachers and staff through our employee assistance programme as well as through their line management. "We recognise that many of our colleagues would benefit from having someone to talk to in these circumstances. "The service will also work with the school's senior leadership team to ensure everyone receives the support they need." 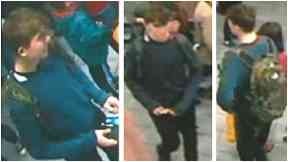 Liam was last seen on November 17 last year, boarding a bus from Union Square in Aberdeen to Banchory. 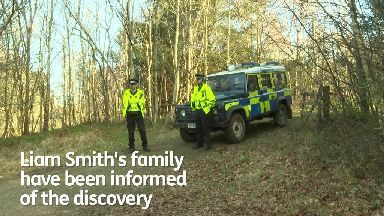 Over the past four months specialist resources including the police helicopter, dogs, divers and search advisers were used in the hunt for the teenager. High-profile figures including Scotland manager Alex McLeish and reality TV star Scotty T also recorded messages of support in a bid to help. After months had passed, police scaled back their searches but reiterated it would remain as a "standard long-term missing person investigation". Following the discovery of the body, specialist search officers and a mountain rescue team were brought on board to recover the remains due to the remote and challenging terrain. 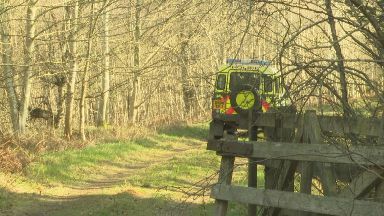 Police told STV News the area of woodland had not been previously searched as it was several miles away from any reported sightings. A Police Scotland spokesperson said: "We can confirm that the body found in the Banchory area on Friday is that of teenager Liam Smith. "The 16-year-old was reported missing from his home in Aberdeen on Sunday, November 18, 2018. "Formal identification has taken place and his family are aware."